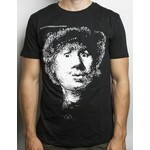 Home Magnet of Rembrandt: Self-portrait, open-mouthed. Magnet of Rembrandt: Self-portrait, open-mouthed, 1630. 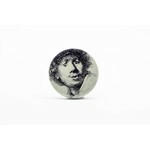 This self-portrait is also used as logo of The Rembrandt House Museum. A true eyecatcher on your fridge! Size is 6 x 6 cm.